In case you aren't familiar with them, Progressive Web Apps are web apps tailored to function like native applications. They're designed to be fast and work offline, with the ability to be added to the home screen. Chrome has been leading the charge on PWAs for a while now, most recently allowing them to be installed to the app drawer, just like native applications. Service Workers, one of the technologies that makes PWAs possible, has been in Firefox since January of this year (with the release of v44). Now Mozilla is filling in the remaining feature gaps. The company announced today that Firefox 58, expected to ship in January 2018, will have support for web app manifests. This allows web apps to set a custom app icon/startup page and hide the browser UI when opened from the home screen. 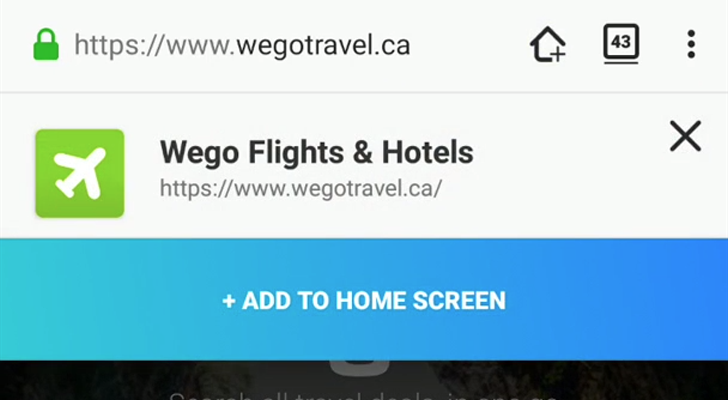 Firefox 58 will also add a new button to the address bar when you visit a Progressive Web App, allowing you to add it to the home screen in one tap. PWAs added to the home screen will appear as a separate entry in Android's Recents screen, but it sounds like they will still be limited to home screen shortcuts, and won't appear in the app drawer like Chrome PWAs do. Mozilla is also working on more web features related to Progressive Web Apps, like background sync, the Payment Request API, and the Web Share API. You can find more information at the source link below.